Thread: Here's a familiar face for you all! Well, maybe to some of you old-timers. 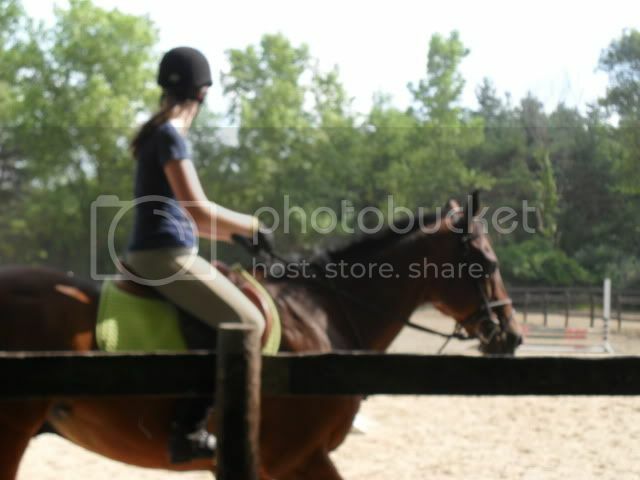 Today I rode Scooter, a gelding I used to ride about two years ago. 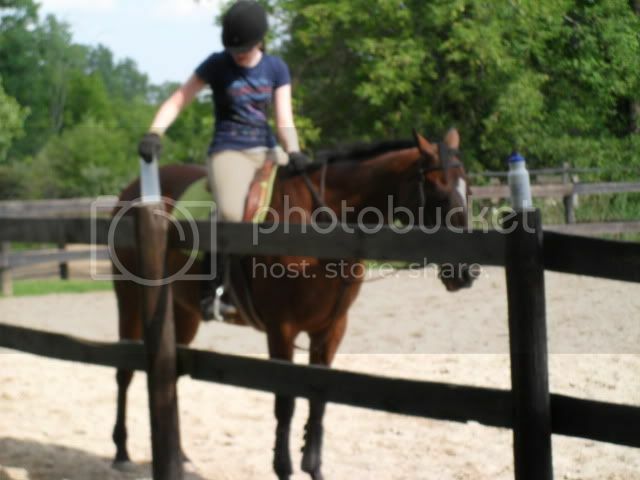 He's the only horse I've ever fallen off of, and I fell off him twice. 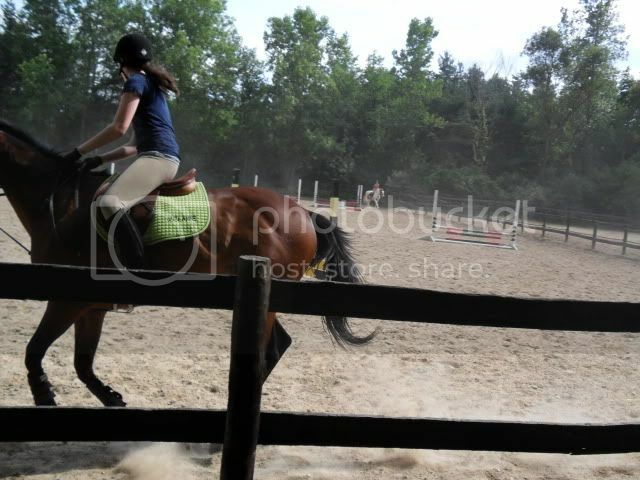 I stopped riding him because I met Brooke, haha. 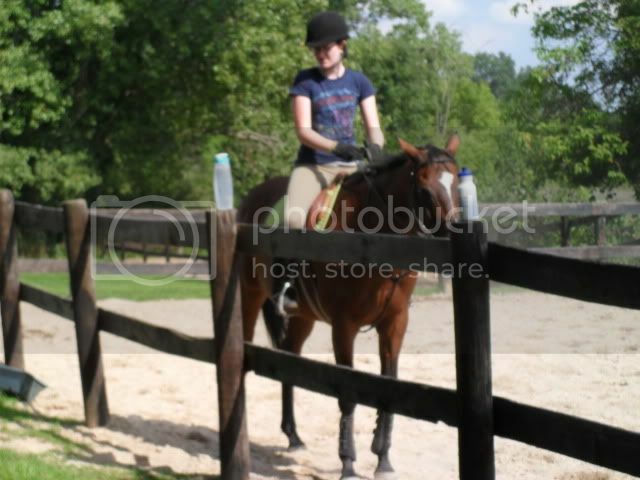 Anyways...since I've stopped riding him, he's gone blind in one eye [not exactly sure why]. He's not spooky or anything because of it, but he does tend to bend himself very dramatically so he can see everything with his good eye. Made going to the right interesting, as it's his left eye that's blind and he kept running into the fence before I figured out how to guide him. 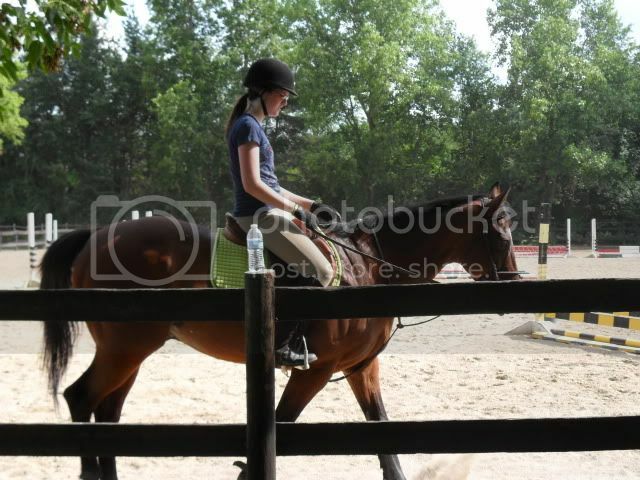 I will say, though...this horse is amazing! 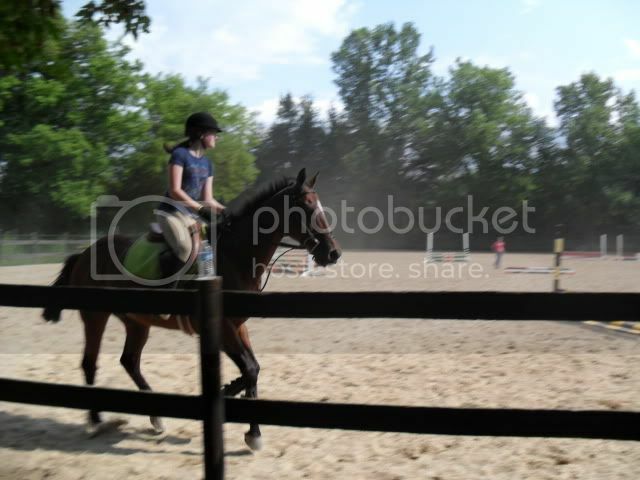 He's super speedy and ridiculously agile...we got into some TIGHT spots and he jumped out of them quite well, even when one was a 2'6" oxar, haha. 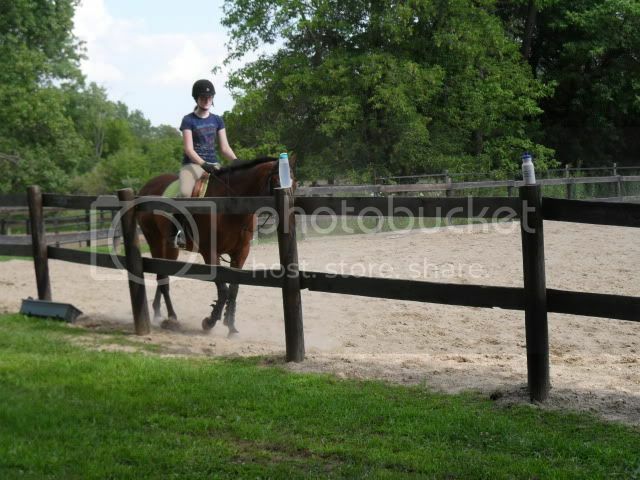 My sister lost interest and left before I jumped, but here are some flatting pictures from my lesson. 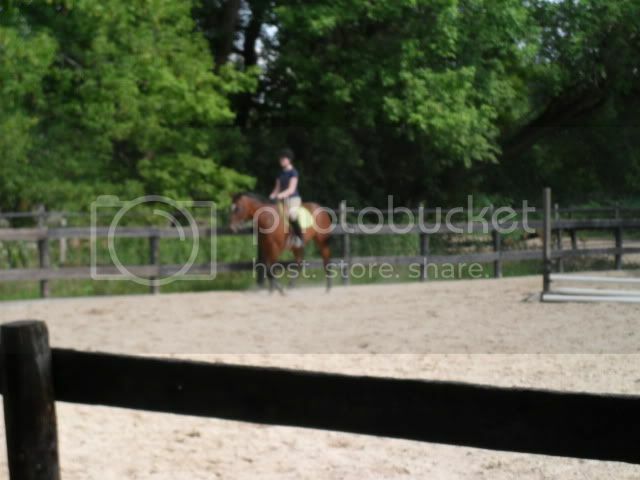 I look so big! 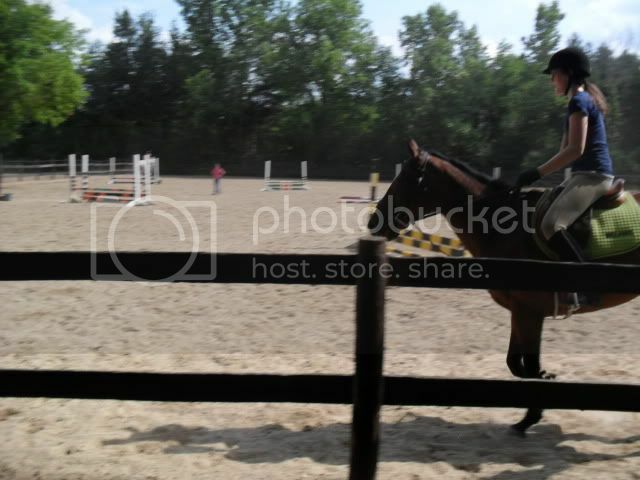 Those jumps are all 2'3", so just pretend there's another pole there. Aww, hi Scooter! Good to see you. My human friend Sue has only one eye that works, too, and she does okay, so I am sure you will get more used to it as time goes on! surprisingly, he doesn't seem too affected by it! I mean, he runs into things on his left side sometimes and doesn't like to go into grooming stalls, but he's not spooky at all and he has no problem jumping. Good to see Scooter and I bet you loved riding him again! Too bad about his eye, seems he does okay. 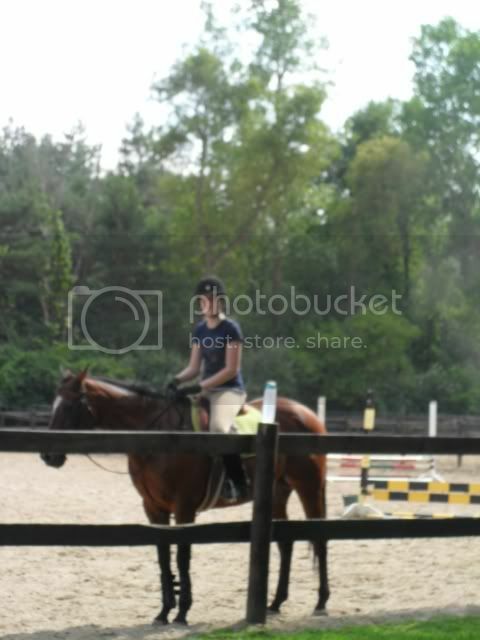 it was great to ride him again And I'm riding him today, as well, so it should be fun! I wasn't sure how the blindness would affect him, but I was pleasantly surprised. FACE 2 FACE! Josie & Brodie together!